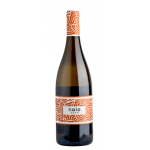 From Bodegas José Pariente (Rueda), we received this 2018 José Pariente Verdejo ($166.75), a white wine vinified with verdejo from 2018 and comes with an alcohol content of 13%. The 2018 José Pariente Verdejo is the ideal white to combine with serrano ham and soft cheese. 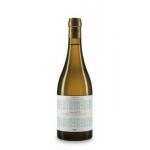 Uvinum users evaluate this white wine with 4 out of 5 points while renowned wine experts rate it as follows: robert parker: 92. Innovation and respect, technology and passion for the great white wines and the terroir. The José Pariente winery is headed by Victoria Pariente, who inherited from her father the dedication and love for the terroir of Rueda and for the white wines. Her daughter, Martina Prieto Pariente, of the 3rd generation, is already working in the winery. Victoria Pariente maintains the commitment of her father, José Pariente, in the pursuit of excellence. José Pariente Verdejo is the signature wine of the house. It is made with grapes from 30 year old vineyards, owned by the family and old vineyards of other small growers. It is undoubtedly one of the reference Verdejos in the market. 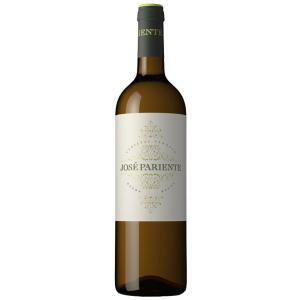 José Pariente Verdejo 2018 is fresh, tasty and elegant, and offers a great quality / price ratio. 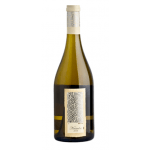 It is a suggestive and very pleasant wine, with a certain smoothness, and with everything you can ask from a Verdejo in terms of freshness, good acidity, herbal and floral aromas, and the characteristic bitter touch. It is a wine especially indicated for appetizers and very good accompanying dishes based on fish, seafood, pasta, rice and white meats. It pairs with all kinds of smoked foods, soft cheeses and serrano ham. In each vintage its quality is consolidated and it always brings something new. ELABORATION: cold maceration (8-12 hours). After a pneumatic pressing, alcoholic fermentation at low temperature in stainless steel and concrete tanks and in wooden vats. The wine remains on its lees for 4 months. WINE PAIRING: starters, appetizers and canapés, cheeses, soft cheese, rice, vegetable risotto, shrimp risotto, ham and sausages, ham, meat, white meat, rice, paella, fish, blue fish, white fish. 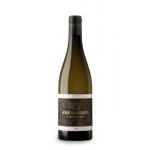 This white wine is bold, fresh and aromatic with ripe citrus acidity and a lovely refreshing finish. Meticulous winemaking and viticulture make this one of Spain's top verdes wines. Pale yellow colour with almost transparent reflection. Aromas of freshly picked lemon from the tree.Slightly salty. - Nose: fruity, citrus. fennel and aniseed are appreciated. - TASTE NOTE: In the visual phase shown a bright yellow color with green hues. 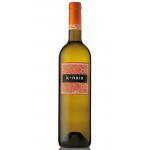 If you want to buy 2018 José Pariente Verdejo, at Uvinum you will find the best prices for Rueda white wine. Purchase it at Uvinum at the best price, online, safe and with all the guarantees. We offer over 59.000 products on sale becoming this way the biggest online shop to sell wine, beer, and spirits in Europe with a community of more than 38.000 customers who enjoy Uvinum.